My very superficial connection with Quebec has been growing as of late. My favorite university hockey team has brought in two Quebecois talented freshmen this year. This summer I got to visit Montreal on a combination vacation/business trip and both parts went well. My daughter is taking French in school. And, finally, and most relevantly as far as MR is concerned, I have been trying to learn more about the French Canadian black metal scene, which is reportedly burgeoning. Thus, I randomly picked a record from the stable of Sepulchral Productions, a Montreal label specializing in the genre. It could have been anything else, including Neige et Noirceur earlier albums, but luck would have it Gouffre Onirique et Abimes Cosmiques is my first introduction to that realm. The limited amount of research shows that the band is the creation of a single individual named either Zifond or Spiritus, depending on where I looked. The opener title track was a very steady somber procession, with drums dropping slowly amidst cold, slicing and diffuse guitars – a perfect soundtrack to what the winter of 2014 is turning out to be. If one were to stop there, or just with the start of the ensuing Future Torture, cold ambient blackened doom would be the name of the game for Gouffre Onirique et Abimes Cosmiques. Yet, rather quickly after the quiet opening keys for Future Torture die down, that track finds the courage to rise from its doomy background and unfold into an epic hymn, with drums first growing into a sturdy double bass, and then even blasting away at times. As standalone, some of these tremolo riffs are merely OK, but together, strung along, they combine into flowy songwriting, reaching culmination around 6 min on Future Torture. 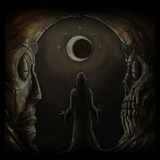 Believe it or not, at that moment Neige et Noirceur is not unlike Viking-era Bathory, very early Windir (high compliment) and a number of bands on Northern Silence Productions label, but especially, similar to Belenos, because of the shared Celtic feel. Le Portail de Kadath and Echo des Abysses continue along the same attractive path. Le Portail de Kadath continues through its grief stricken, but at the same time proud, chord progression (the melody between 7:30 and 8 min mark is awesome), while Echo des Abysses is more creepy and is tempted to slide into chaos away from the epic path at times. Vocals, ranging from quiet background voices to typical hollow rasp, do not overwhelm and at times are pretty sparse. Neige et Noirceur sometimes also like to pull away all percussion and for a second go on with just guitars, so that you can admire the riff Zifond/Spiritus came up with. And then things suddenly change. One could think that depressive doomy La Marche des Astres Noires with its booming drums and layered melodies is a temporary throwback to the beginning of the album, yet the track’s closing heartbeat flatlines into the soundtrack of snowy and glacial emptiness, which is the closing trilogy Les Cavernes de Glace. Very much fitting the name, this is as far away from epic Celtic-Vikingy stuff as it comes. It is practically not black metal per se, but some cold cavernous ambiance, floating along, until the tragic voice in Part III begins declamations in French, but more in a way some tribal shaman would do it. A quick drum explosion in Part III does not change the tone or style of where the record ends. Perhaps I simply did not expect that much of a change within a single release, but given that Neige et Noirceur does not shy from releasing several records a year, perhaps Gouffre Onirique et Abimes Cosmiques could have been two separate, and very disparate, EPs. The cover art itself suggests dual nature of the record. It is not that I do not appreciate black ambiance of Les Cavernes de Glace, but it is a little out of place next to Future Torture and Le Portail de Kadath, and the mind kept drifting back to those tracks while Les Cavernes de Glace was playing. Certainly not my place to suggest the best approach to the artist, but in a way I have done so. Nevertheless, Gouffre Onirique et Abimes Cosmiques will make me continue exploring the Quebec scene more in general and Neige et Noirceur in particular.